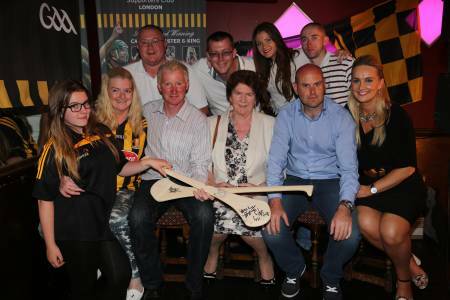 The London-based supporters of Brian Cody’s Cats welcomed their heroes recently when All-Ireland winners John Power, Brian McEvoy and Tracy Millea came to Hennessy’s of Kingsbury as guests of the Kilkenny Supporters Club London Branch. 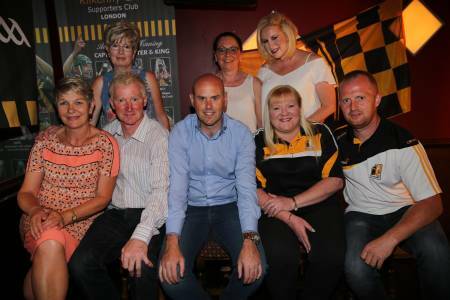 All were delighted to make the trip and spoke of their pleasure to engage with the fans who follow Kilkenny from afar. John Power told The Irish World that he believes the London GAA scene deserves great credit: “I know the good work people are doing. When you’re away from home, I suppose your passion grows. You tend to latch on to the GAA people and the GAA world. “I would be very anxious to back the people up both here and in Ireland. I would love to give everybody a help that way. We have everything on our doorstep, it is easy for us to enjoy hurling, we have it every night of the week but it is different over here if you maybe work all day, then jump into a tube and have to go training. I would appreciate the efforts of everyone over here. 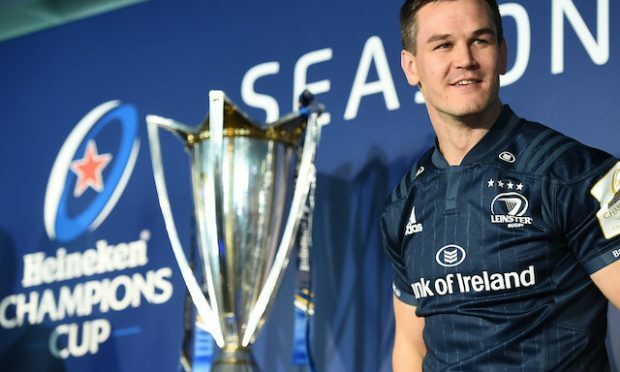 “We’re very fortunate in Kilkenny, if a young fella is fairly good and gets a chance to get on the Kilkenny team or panel, you have a big chance of winning the big prize, the Liam McCarthy Cup whereas over here, you’re really promoting the game and really playing for the love of the game and that’s what everyone should acknowledge. 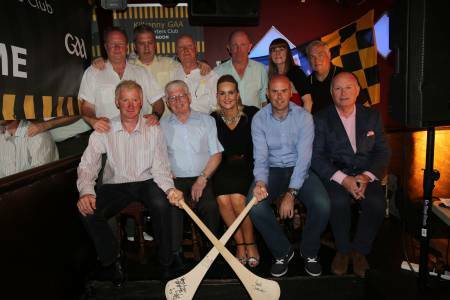 Kilburn Gaels and London have several hurlers from Kilkenny (Luke Gaule, Andrew Power, Mark O’Dwyer, Nollaig Brophy) and former London manager Eamonn Phelan hails from the south east county. Brian McEvoy once came to Ruislip to play football for Kilkenny against London and speaks of these sort of connections London between Kilkenny: “We were always made very welcome in London. There was always a great reception and it seems to be a very tight knit community over here. “When we bring the cup over here, there’s an awful lot of people in London maybe 30, 40 years who maybe don’t get home for matches for one reason or another. 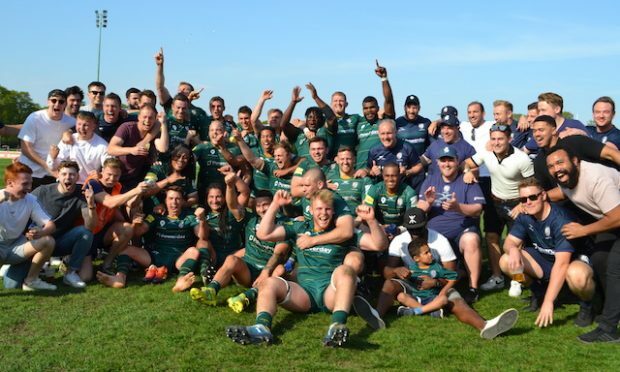 For them to see the McCarthy Cup or to meet the players that they see on television, they get a great thrill out of that. It’s a great honour to come and do those things.. There was sad news that DJ Carey’s health had prevented him from joining, having been scheduled to appear. DJ, regarded as one of the best hurlers of all time, has had health problems and was admitted to hospital for heart checks after a collapse in 2012. Tipperary beat Kilkenny to the All-Ireland in 2010 but have not beaten them in championship hurling since. Kilkenny defeated them in the 2011 and 2014 finals, in a 2012 semi-final and a 2013 qualifier. Kilkenny will play Galway in the final, the two teams met in 2012 when a replay was needed to separate them. John Power won All-Irelands with Kilkenny in 1992 and 1993. Having been dropped from the squad by the previous manager, it was current boss and the phenomenally successful Brian Cody who brought him back into the fold where he played his part in the All-Ireland successes of 2000 and 2002: “I was dropped off the panel in ‘98. Kevin Fennelly was the manager and I felt I had loads left to offer. It hurt me badly but we played a challenge game against ‘the village’ (Brian Cody’s James Stephens club) just after that All-Ireland final in ‘98. I played really well that same night and fortunate for me, Brian got the job as manager. Maybe he was aware that night I had something left. He gave me the call and I had four wonderful years. I was nominated for an All star for four years and won two All-Irelands. I was very committed to it and he links up well with a player who is committed to the cause. I was lucky how things happened. Brian McEvoy and Tracy Millea are married and have two children. Will their two boys follow their parents onto the hurling field? Brian says: “They’re mad hurling away at the moment anyway. Aaron will be ten in December and Ben is seven next month and they’re hurling not for my club now. I was a James Stephens man but we were married out in Graigue Ballycallan so they’re hurling for Tracy’s club. 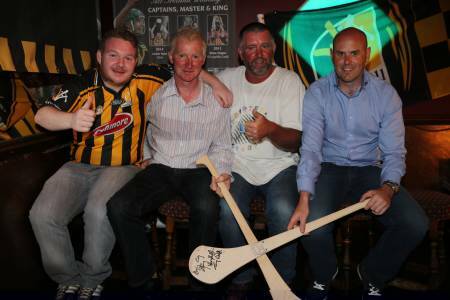 The Kilkenny Supporters Club have been established since 2011 and guests have included great DJ Carey, Eoin Larkin and Paul Murphy of the current panel, recently retired Kilkenny goalkeeper David Herity, former Kilkenny back Michael Kavanagh, former Kilkenny midfielder Liam ‘Chunky’ O’Brien. 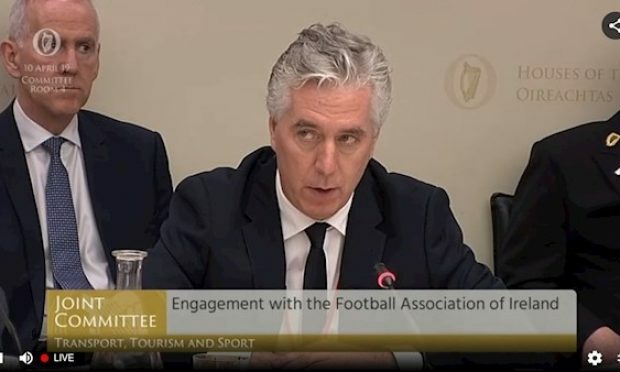 Former Cork All-Ireland winner and RTE pundit Tomas Mulcahy has chaired several Q and As and Iarla Tannion of Galway has also been a special guest. 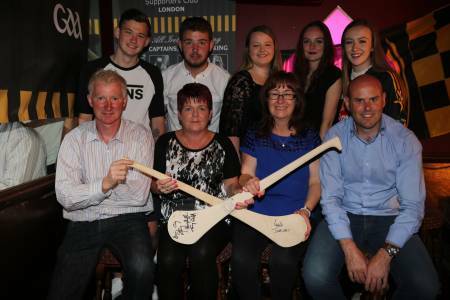 The night was to raise funds for the Kilkenny County Board and there was a raffle and auction, with prizes such as signed Kilkenny shirts and hurley sticks. For more information, you can find The Kilkenny GAA Supporters Club London Branch on Facebook or call chairman Pat Byrne on 07711 851 836.